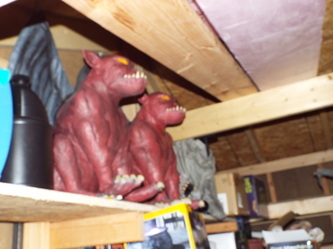 One of the things we always look for when touring is a new setup or display that we haven't seen before. 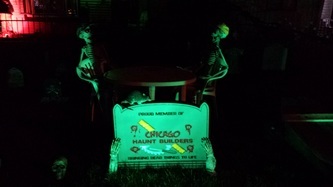 It's always fun to visit something completely new each year. 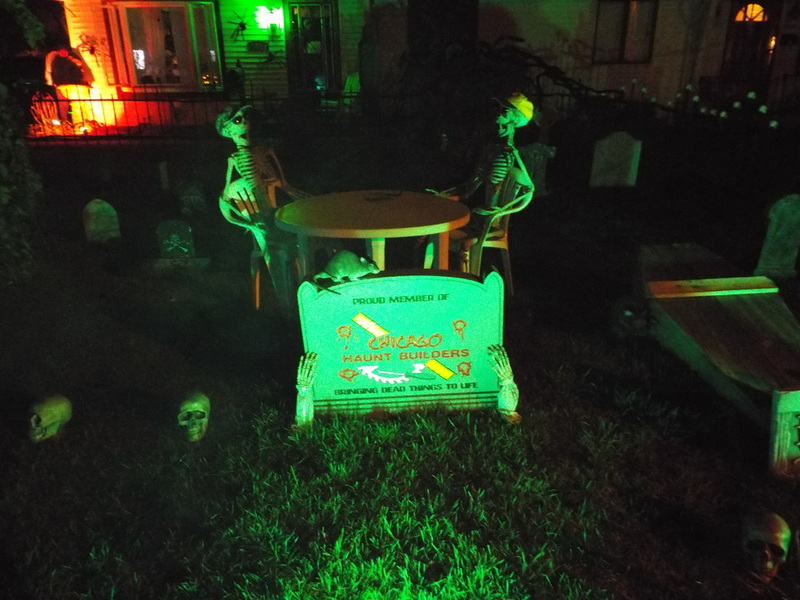 It's even better when a new display pops up that's close to other displays so that we can make an evening of visiting ones close to one another. 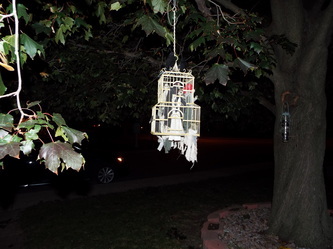 That's why we were happy to see a new display crop up in the Hometown area, to complement some good ones in the Oak Lawn/Burbank/Crestwood areas. The Haunted Cemetery is a clever display, featuring some interesting props, including a giant pumpkin-headed creature, some interesting tombstones, coffins, and several skeletons in different positions - some sitting around a table, and a couple standing with creatures on them, like owls and rats. It's a nice twist on some of the standard things one sees at yard displays. 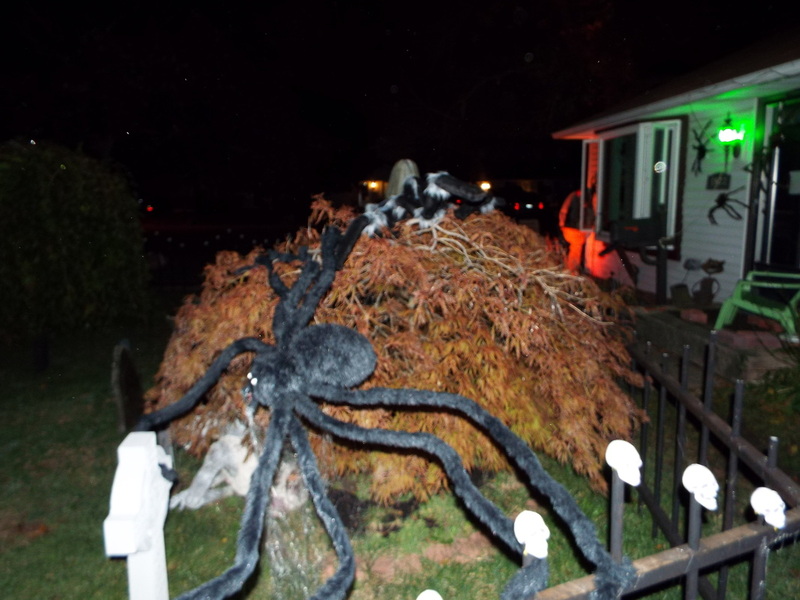 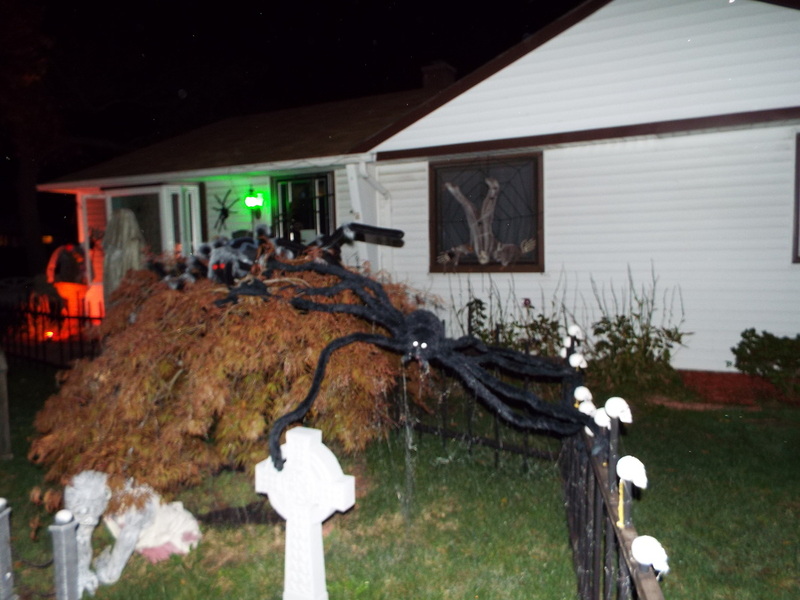 Also well done is a giant spider web, complete with hapless victim, that adorns a large bush towards the back of the display, In the center of the web is a giant spider, and another victim hangs upside down in a house window. 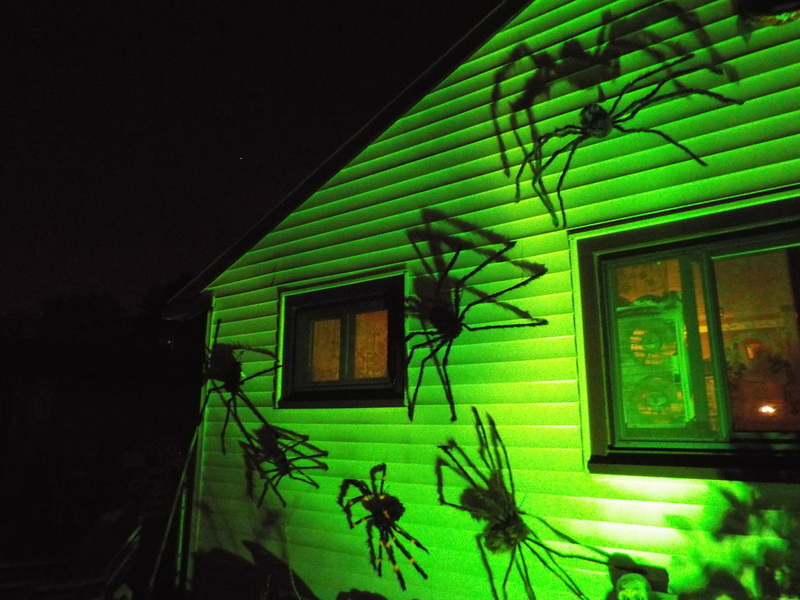 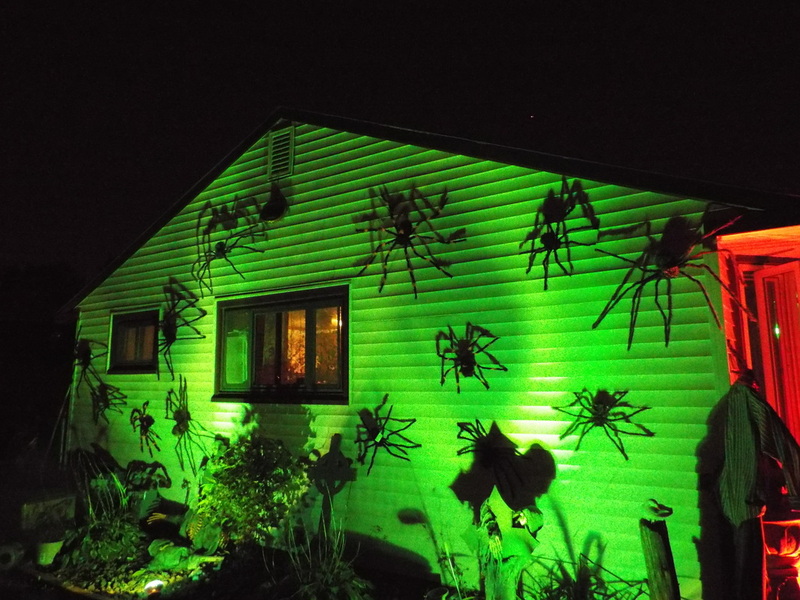 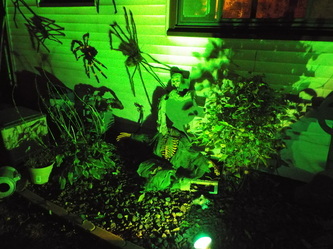 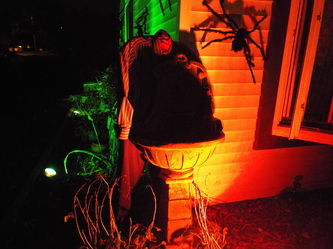 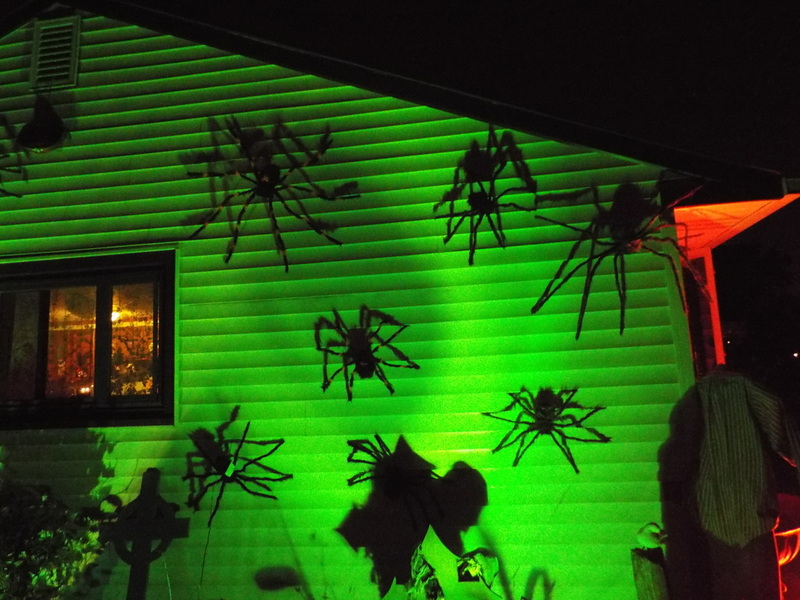 The spider theme continues along the side of the house, which is covered in giant spiders and bathed in an eerie green glow. 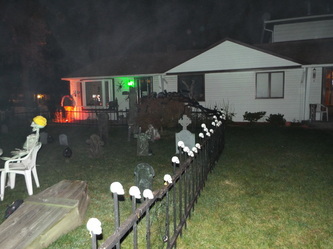 This area is complemented by various tombstones along the base of the house. A couple of interesting touches to this display include a headless man blood fountain, featuring a headless body with blood spurting from its neck into the fountain below, and a "cage of souls", which is a small hanging cage filled with miniature people - not something one sees every day, even at a haunted yard display! 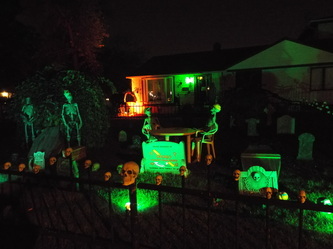 The entire display is rounded off with come nice lighting effects. 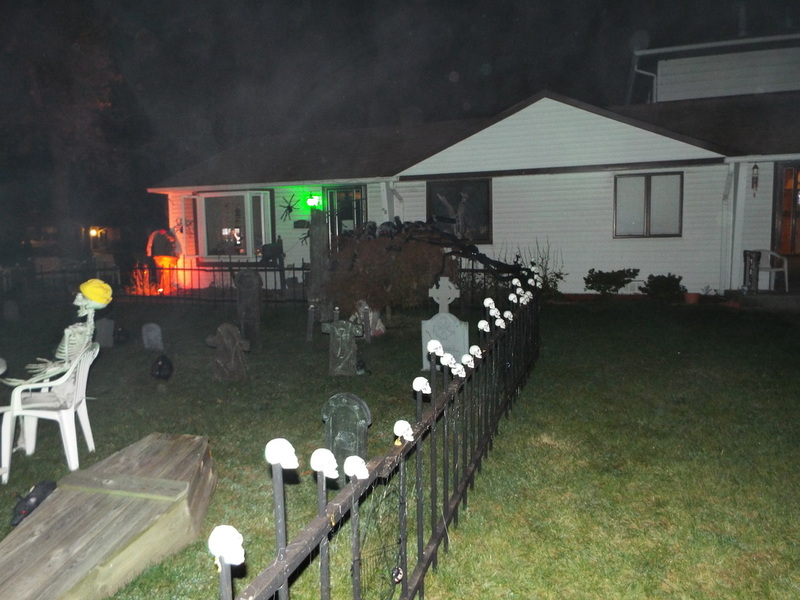 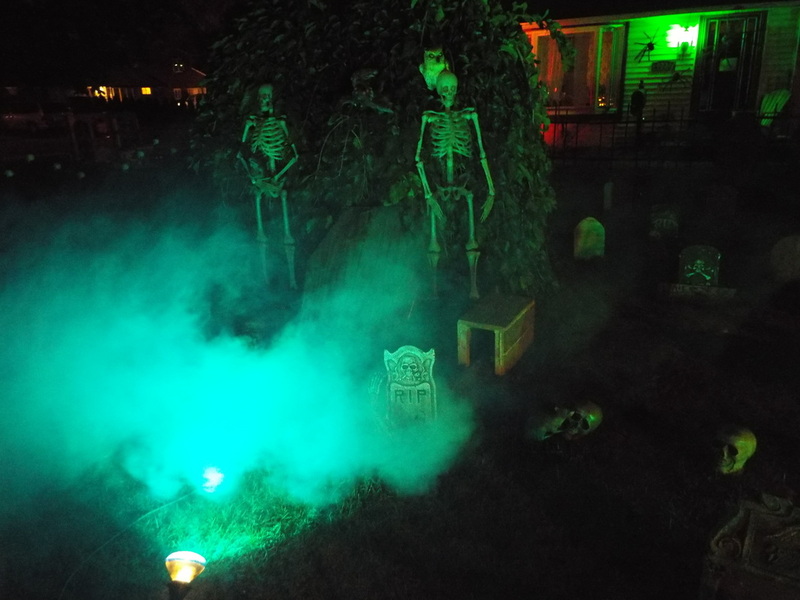 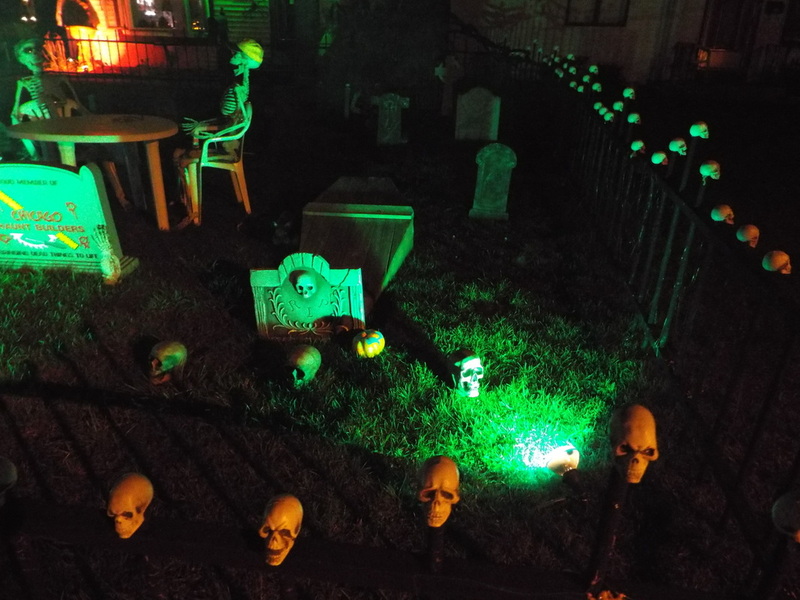 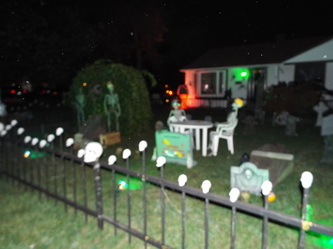 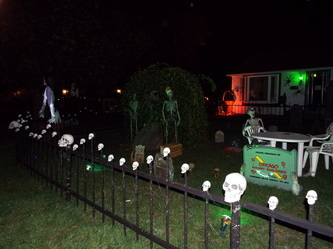 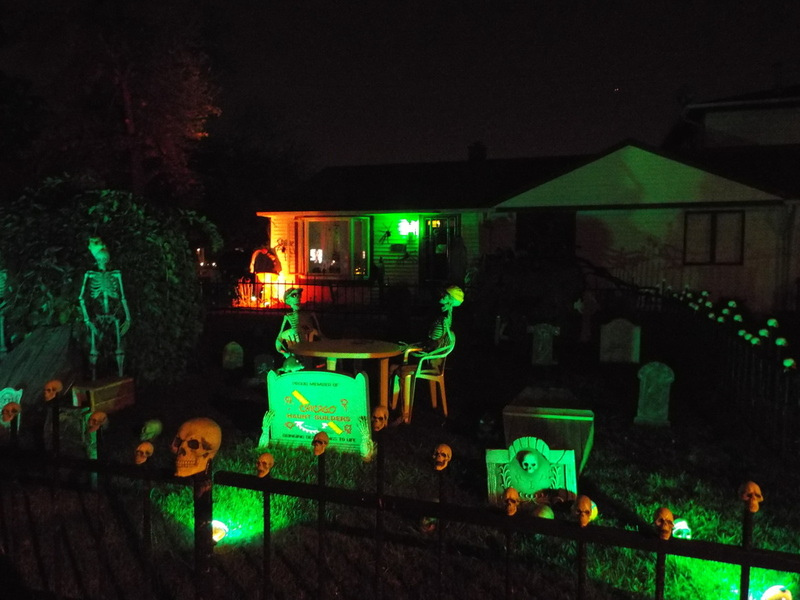 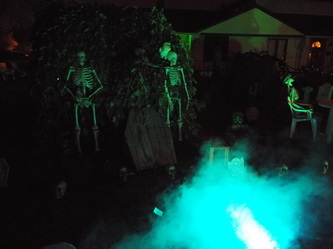 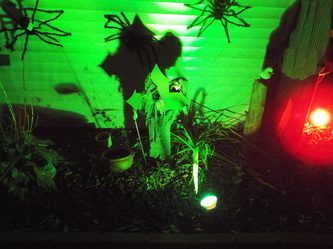 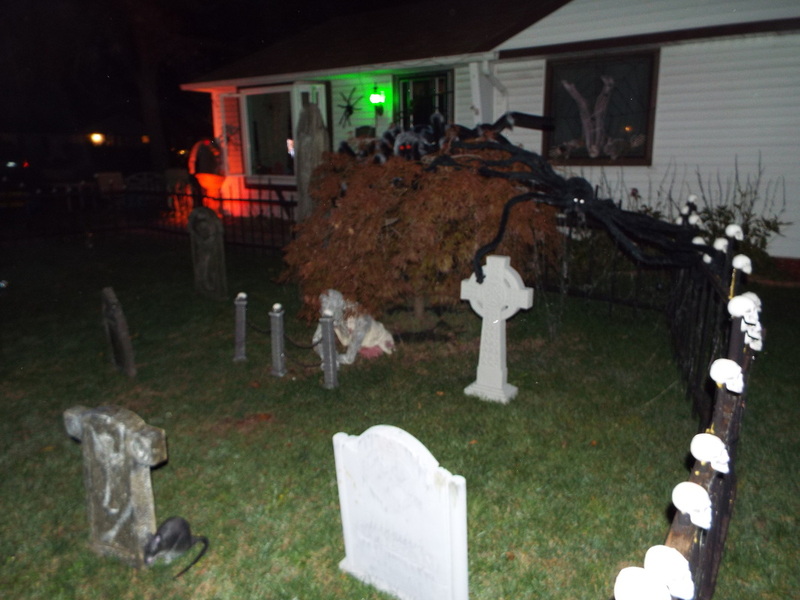 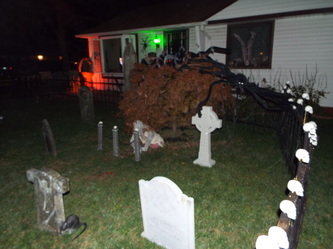 Lighting includes the previously mentioned green lights on the spiders, a red light on the blood fountain, and some cool lights in the cemetery itself.Additionally, the owner has a very cool devil like creature (and a couple of his minions) that come out on Halloween itself. 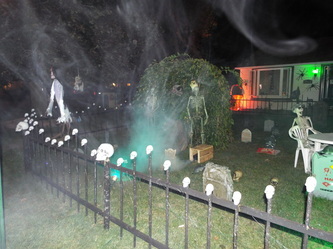 If you're in the area, stop by and check out the haunted cemetery. 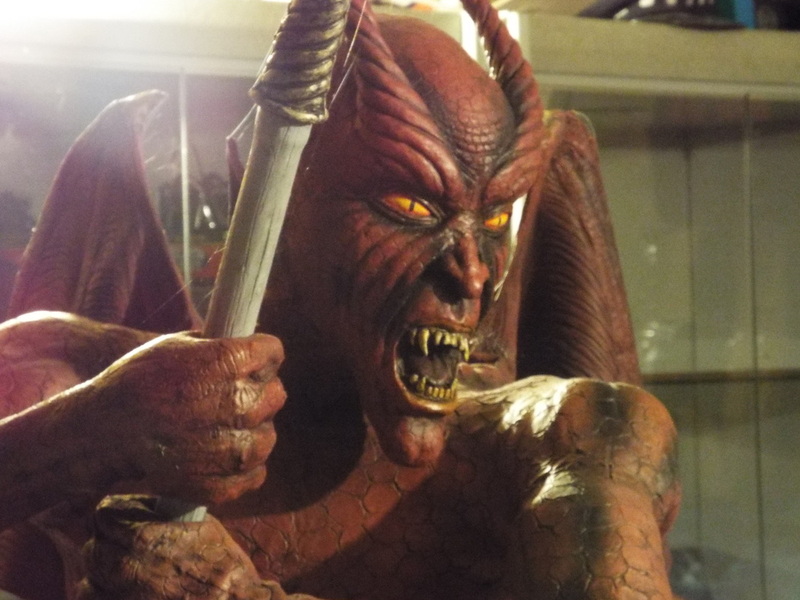 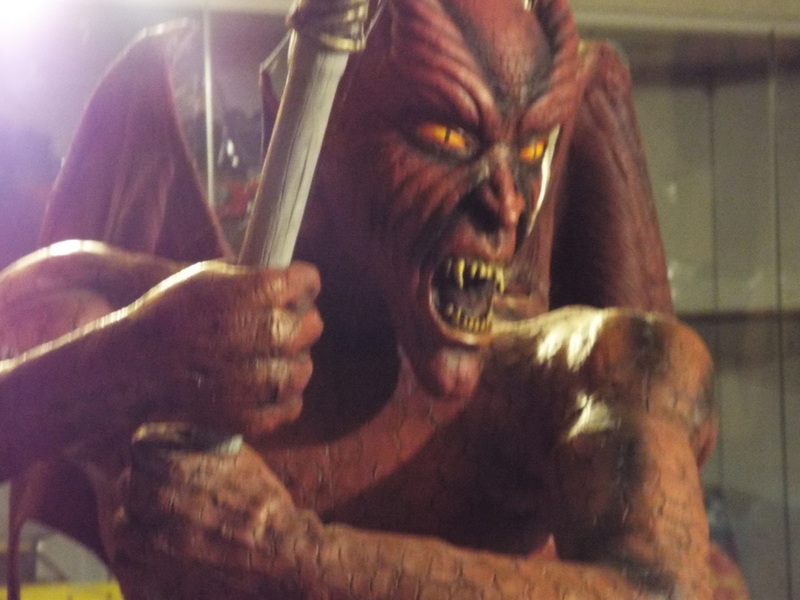 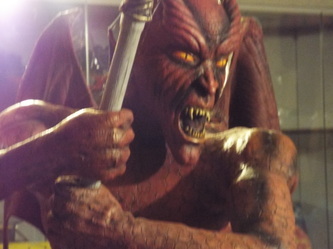 It's well worth a look, and the kids will like it, too (well, maybe not the devil guy, but everything else). 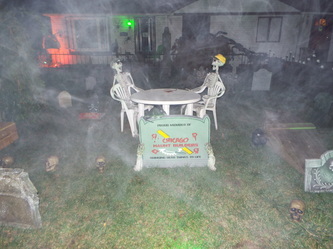 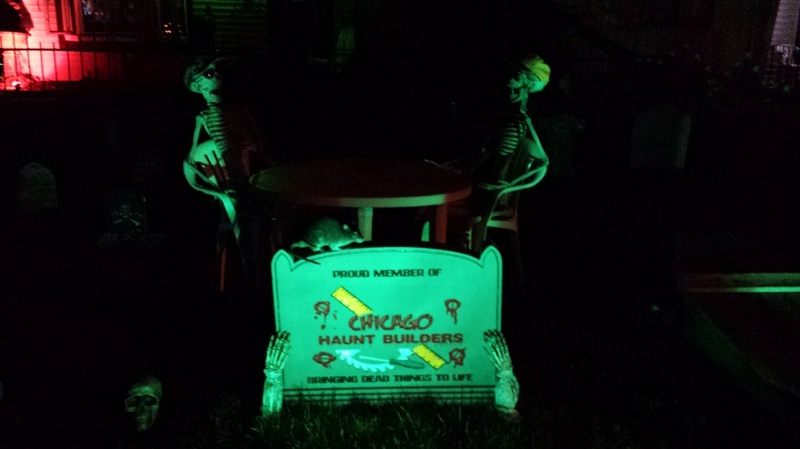 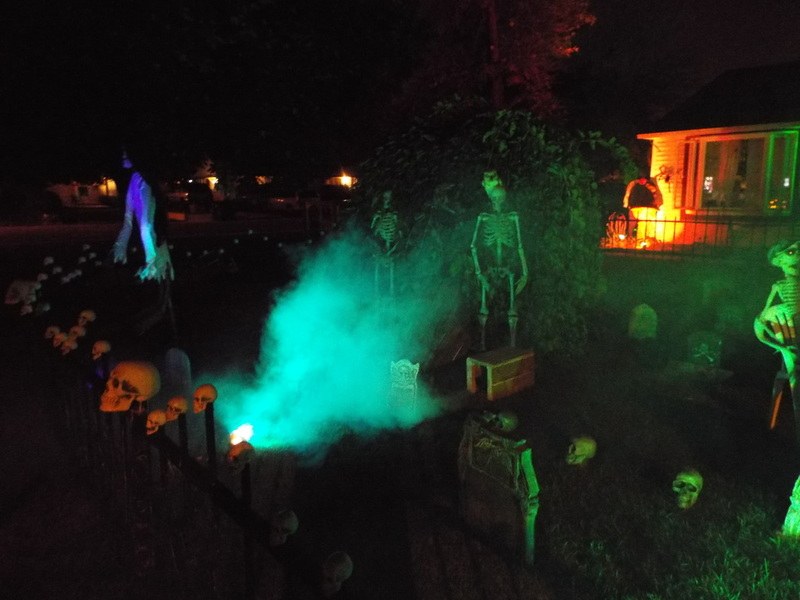 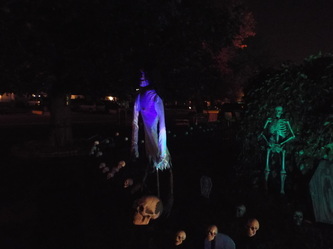 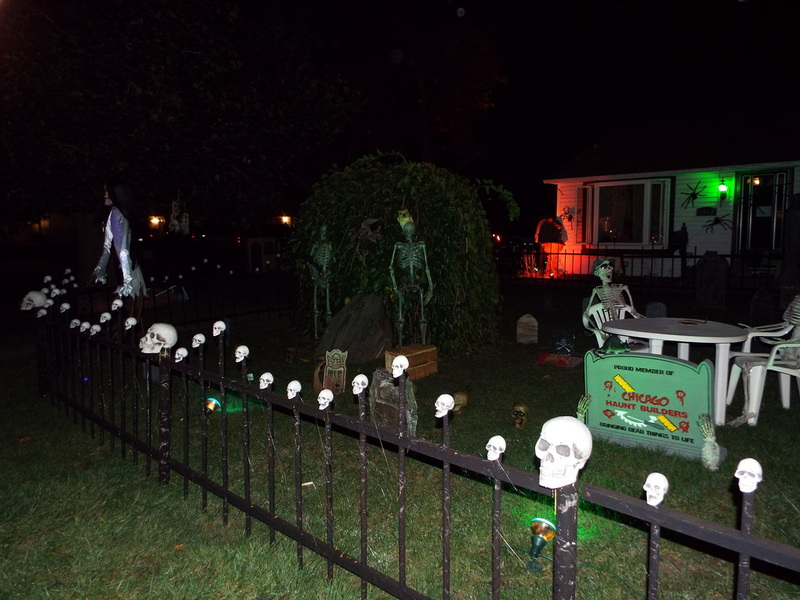 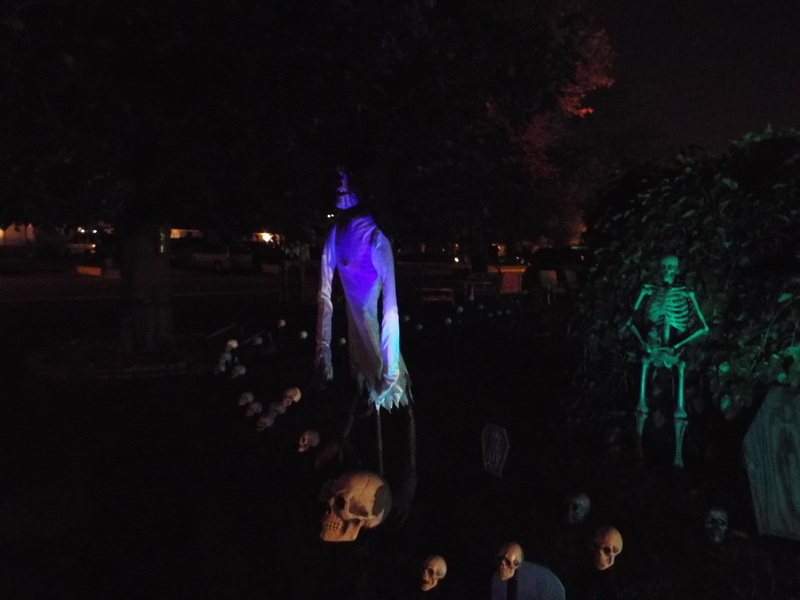 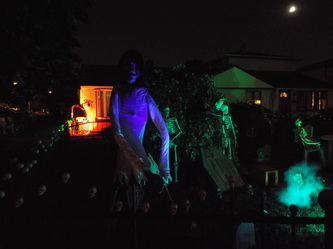 It's nice to have another display to add to our list of haunts each year, so we look forward to seeing more from the haunted cemetery in years to come!